Well, this was my first real experiment with machine embroidery and imho, it turned out ok. 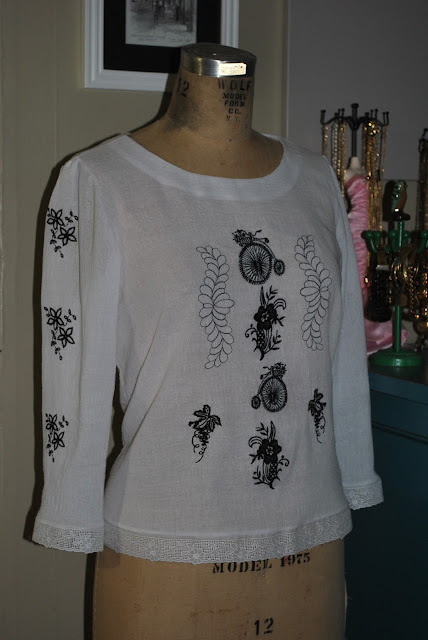 I'm actually wearing this top today, having completed it yesterday. The embroidery patterns I used here all came with my Brother PE 770, but I played with the layout and size, placement, rotation, and using different hoops. It also took me a while to choose the best stabilizer. In the end, I opted for the dissoluble stuff. Basically it's glue and once the embroidery stitching is complete, you hold the cloth under running water and in a few seconds it melts away :) Magic! Another super important tip that I was given by the wonderful employees at Quality Sewing and Vacuum in Northgate is using the special embroidery bobbin thread. 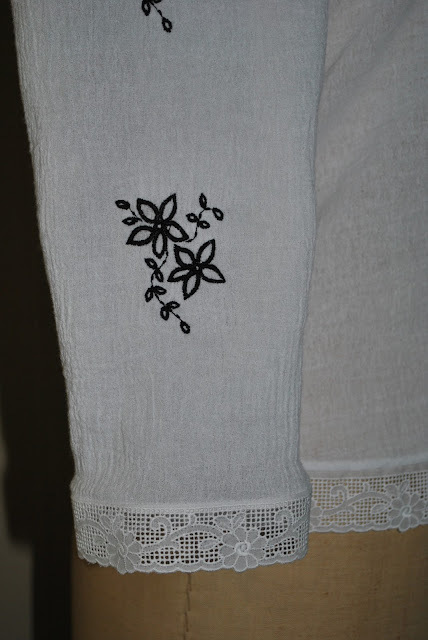 It's much thinner than regular thread and it's crucial in ensuring that the fabric doesn't pucker as you embroider and the design comes out flat, even, soft, and flawless - I can't say enough great things about it! 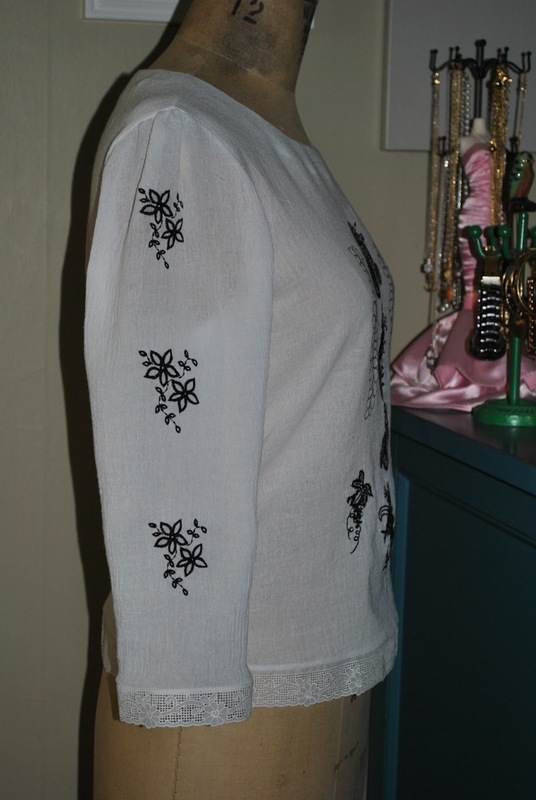 Anyway, I finished this top by adding an element of heirloom sewing - cotton lace trim around the hem and sleeves.